I came up with the idea for this card and I told my daughter Sam about it. She thought the idea was great, but the fact that I didn’t know the name of the song, was lame. Unfortunately, I have a terrible memory for these sorts of things and I just make up new names for things all the time. For example;I call this Gym Class Heroes song “My Hearts a Stereo” and I am always thinking that the name of the Ford Sync system is In Sync. This issue is certainly a genetic trait I inherited from my mother who thinks “Ginko Balinko” (Ginkgo Biloba) will help your memory, that the movie “Chicken Soup” (Chicken Run) was hilarious and that my son is addicted to playing his “Bluetooth 360” (xbox 360). 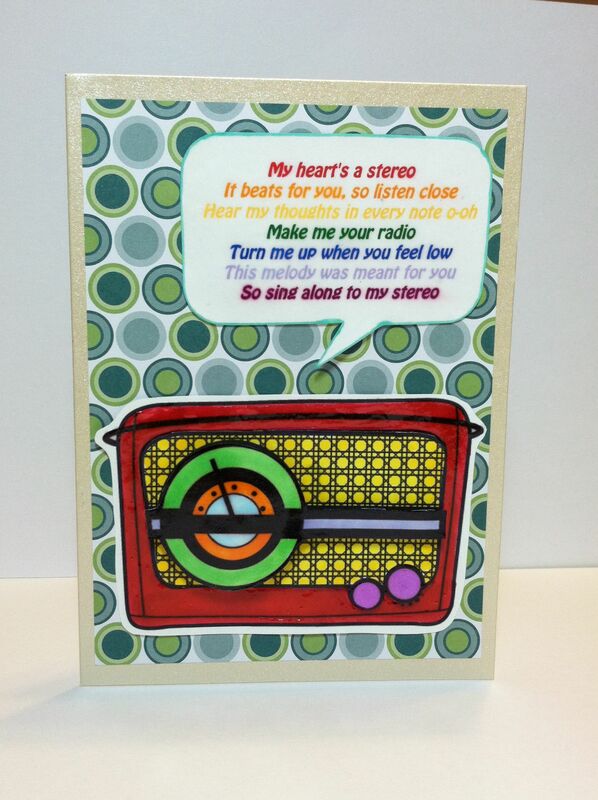 I used a Market Street Stamp freebie and a line from the Gym Class Heroes’ song Stereo Hearts to make this fun card. I decided to create a rainbow effect in the text and in the colors of the radio. The radio is actually paper pieced to give it some more dimension but, I’m not sure that you can tell that from the photo. The word bubble is hand cut and both the word bubble and the radio are thinly covered in Glossy Accents. 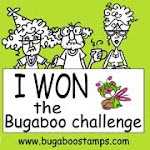 I am going to enter this card in the CAS-ual Friday Challenge CFC60 Use text in your Clean And Simple design. 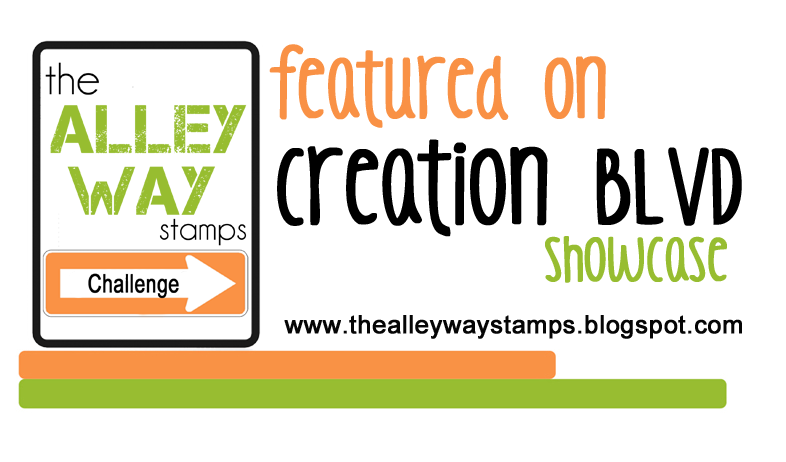 Posted in Any Occasion, Digital Stamps and tagged digital stamps, glossy accents, Gym Class Heroes, market street stamps. Bookmark the permalink. Thanks Karen! This stamp was a lot of fun to play with. 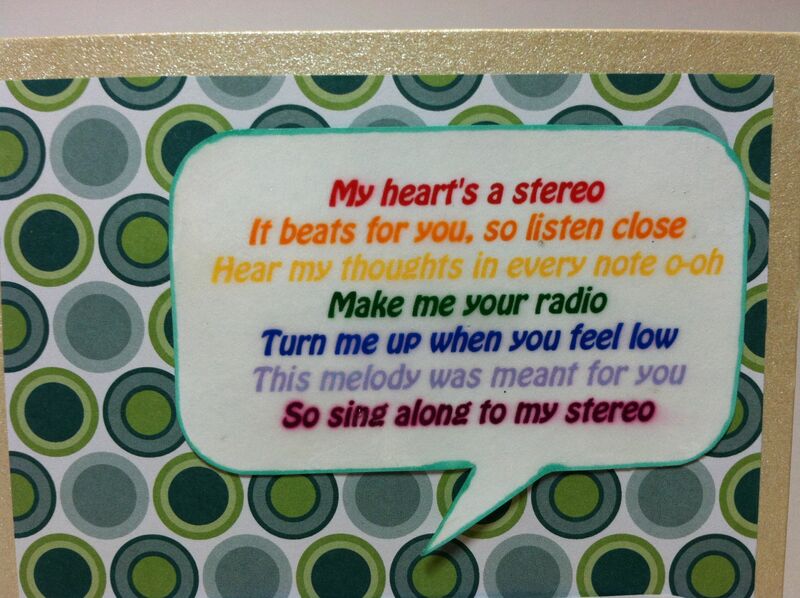 Oh my gosh – I love this song!! I sing it at the top of my lungs when I’m in my car!! 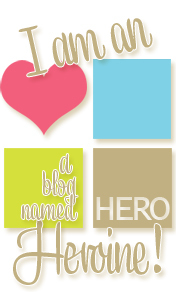 LOL I love that you took your inspiration from the song and applied it to this wonderful focal image! Fabulous! Thanks so much for playing with us at CAS-ual Fridays! We’re so glad you did! I love a lot of Gym Class Heroes songs and I am definitely a car diva too! Soul Sisters! Oh…the memories….what a cool and wonderful card…and yes the mind and memories are a strange and wonderful thing:):)!! Thanks for being a part of the challenge this week at CAS-ual Fridays:)!! Thanks, Lisa! I enjoy the challenges you guys present us with.